Looking for a new addictive dice game to play? +10,000 Farkle is the game for you! This game is guaranteed to keep you hooked for hours with this easy to play interface! [How do you play Farkle?] This game tests your bravery and guts! ...MoreLooking for a new addictive dice game to play? +10,000 Farkle is the game for you! This game is guaranteed to keep you hooked for hours with this easy to play interface! [How do you play Farkle?] This game tests your bravery and guts! 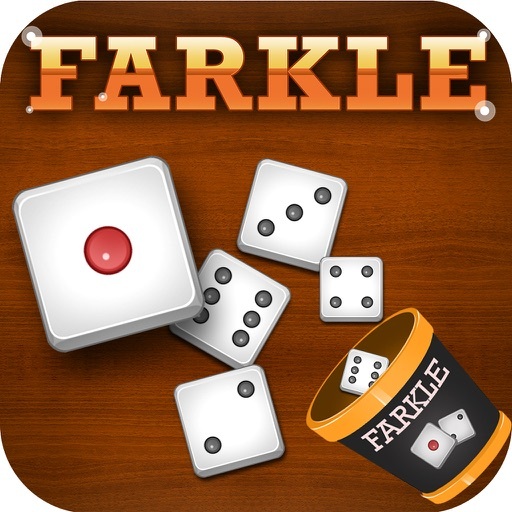 -Farkle is played by rounds and each player rolls 6 dices to score points with 1's and 5's! -You can also score points with combinations such as three, four, five, six of a kind! -The ultimate goal is to hit 10,000 points! -If your roll nothing in a round, then you FARKLE! and no points are scored for that round. Easy game to pick up and understand, let's see how you do!